Access Mail is the premier Mail Processing Services Provider in the Suncoast Region. As a “work-sharing” partner to the USPS we earn maximum postage discounts for our customers. Daily mailers who use Access Mail can benefit with more accurate delivery of their mail, better postage discounts and, overall, better response rates from the recipients of their mail. Because we process mail virtually identically to USPS processing, certain standards are required of our clients to allow a seamless transition from our mail facility to the USPS on a daily basis. Meeting these standards results in savings for our clients – both time and money. We can provide all the tools you need to adhere to these standards for all your presorted mail, including meeting the USPS requirements for Move Update and Intelligent Mail Barcode® (IMb). Learn more about the basic guidelines & tips for mail preparation, and the forms required by Access Mail and/or the USPS, resources & related links, to assure accurate and timely handling of mail qualifying for discounted postage rates. We are also available to provide specialized departmental training sessions and useful USPS publications. 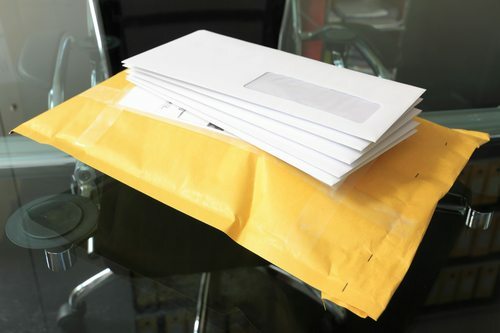 We will assist you to improve the quality of your outgoing mail. Our professional staff has many years’ experience and is knowledgeable in all facets of mail preparation to qualify for postal discounts. Allow us to determine how we can save your business time and money. Access Mail has procedures in place to mitigate challenges caused by weather or other unforeseen problems in the area.